Tower 5 of Walker Corporation's Collins Square development demonstrated one of the speediest project commencements and officially began construction on February 16 after receiving final approval on February 13. This weekend turnaround from approval to construction shows the eagerness for developers to take advantage of the blooming Melbourne commercial/office market. Construction of Walker Corporation’s development is being overseen by Vibropile, however there has been no announcement of who the head contractor will be. As reported by Urban Melbourne, 2-12 Batmans Hill has been described as a ‘signature’ tower that is located in a key area within Melbourne. 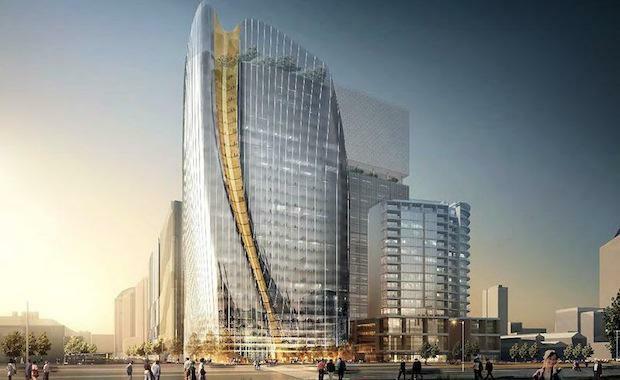 At 111 metres tall, the building will be highly visible to local commuters. At this stage, no tenants have been made public however Urban Melbourne reports that a number of organisations have expressed interest in the iconic building. Organisations such as the State Government and Herald Weekly Times are the two main entities seeking new office space within the area, and could be the frontrunners for space within 2-12 Batmans Hill Drive. Walker Corporation’s early start to construction could be to ensure that they lock in key organisations to ensure vacancy rates stay low.